Today I have a guest post from a good friend of mine, Nick Esposito. Nick is a strength and conditioning coach in Waltham, MA at Champion PT and Performance. He also happens to be a pretty smart kid. Here is a link to the original article if you have a chance to check out some of his videos too! You often hear about rotational power or kinetic linking…but how do we maximize that? How does that relate to athletes, especially baseball and softball? Movements often found in sports are considered ballistic. There is also injury prevention qualities as well. Controlling rotation and deceleration. When done right, med balls can be a very demanding on the body, and the central nervous system. We program all med ball work to be done BEFORE any lifting for that day. What direction the athlete is facing…are the facing the wall, or facing sideways, etc. Where the Ball is Going. What is the intended target or direction you want to slam/throw the ball? This will be your traditional slam method. Accelerate at the wall, floor or target from a specific starting point. This will be a movement initiated by a partner or a coil motion. The ball is moving in a against you so that you must stop, load, and then unload in your intended direction. This will be a rapid movement…quick and precise. You will commonly see a plyo based or rubber bouncy ball for continuous med ball exercises. Jam Balls – These balls won’t have much bounce. They are very dense, and can be on the heavier side. Plyo Balls – These are commonly smaller, and offer a bouncing recoil when you slam it. These are great for continuous and rapid med ball type exercises, and even single leg stance exercises. Soft Toss Med Ball – Commonly seen in gyms as Dynamax or PB Extreme Balls, these are great for slamming, tossing, and offer many uses. This may be the most important one. For athletes, one of the common goals is becoming faster, and quicker, something med balls are great for. However, many can check their ego at the door and grab the heaviest possible ball to throw or slam…VERY SLOWLY! If the med ball is going slow, are you truly gaining the benefits of ballistics and what med balls have been proven to help develop…probably not. You have to put full effort and intent into each throw. 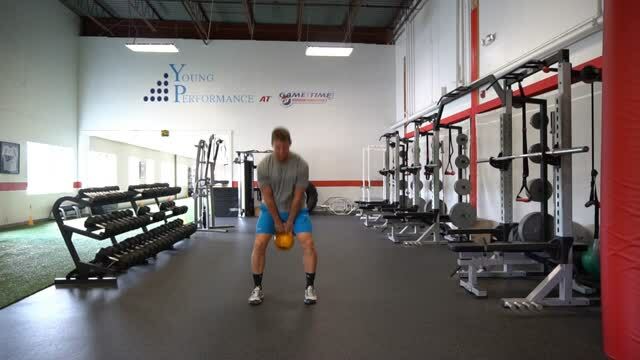 Med Ball exercises are truly a “You get what you put into it” exercise. For more articles like this refer to the link above. There you can check out some pretty cool videos, articles, maybe even grab some swag.